COLUMBUS, Ohio - The growing rash of reported threats involving clowns has law enforcement agencies across Ohio and elsewhere working to identify legitimate threats while warning hoaxes are no laughing matter. 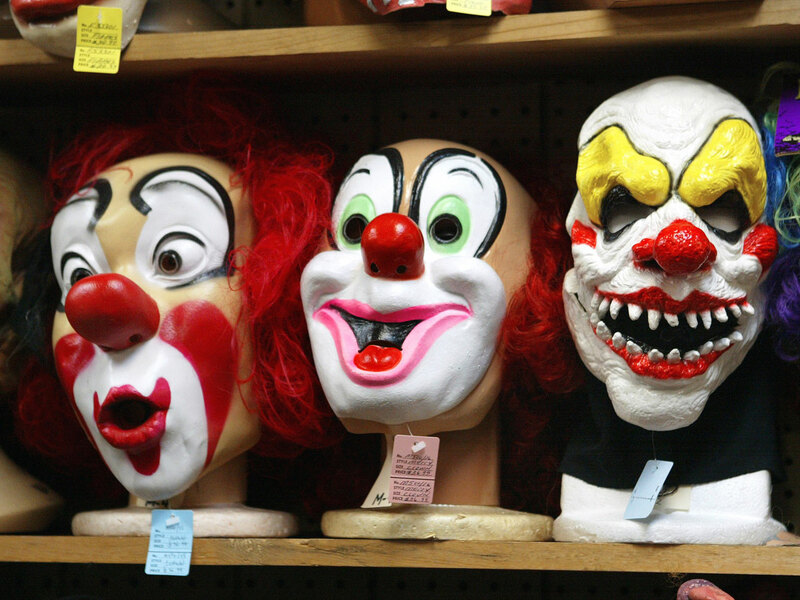 The number of arrests in the Cincinnati area over clown-related threats rose overnight from two to seven, as Montgomery police charged an additional five students with inciting panic Friday for allegedly suggesting a “Clown Clan” descend on their schools. Another arrest also was made in Fairborn. Police charged a 15-year-old boy with making terroristic threats, a felony, after he allegedly used a clown persona on social media to threaten death to Fairborn High School students. A false report prompted a precautionary lockdown at a Dayton middle school Friday. Sugarcreek police in Amish Country determined a girl’s social media post reporting a clown with a knife was false. A reported early Friday attack on a woman in Reading, Ohio, by a person dressed as a clown prompted Reading Community City School District officials to cancel classes for the day. A woman told Reading police she was smoking a cigarette on her porch when someone wearing a clown costume appeared and grabbed her by the throat. The person told her, “I should just kill you now” and “Some students and teachers would wish they were never born at the Jr. and Sr. High School today,” police said. In a Facebook post, Reading Community City Schools said it takes all threats seriously, and said administrators were especially concerned with the number of students who walk to school in the early morning hours. The district said it would supply extra security for a homecoming parade and football game Friday night. A school dance scheduled for Saturday is to go on as planned. Also Friday, officials at a high school in Miami Township, north of Cincinnati, said a student was arrested and removed from campus for making a threat about clowns on social media. “The social media message was a copycat of the clown threats that have been becoming more frequent in our area and around the country. At no time were students and staff in any danger,” Milford High School principal Josh Kauffman said in a statement posted on Facebook. And in Colerain Township, a juvenile was arrested on Thursday night in connection with a clown threat involving harm to Colerain High School students. Unconfirmed clown sightings were also reported Wednesday in New York’s Long Island, when police received 911 calls about people dressed as clowns jumping out in front of vehicles and chasing cars, reports CBS New York. The incidents are among the latest in a series of frightening encounters involving clownsnationwide. Since August, people in states including South Carolina, Maryland, Pennsylvania, New York and Georgia have reported scary or suspicious incidents with people dressed as clowns. Students at several Las Vegas area schools have been staying home or leaving early in the wake of social media threats involving clowns. KSNV-TV reports Clark County School District officials say rumors about creepy clowns terrorizing campuses, possibly with a firearm, are a hoax. Despite the reassurances, some students skipped school Friday. The sightings began last month in South Carolina, where children reported clowns were trying to lure them into the woods.